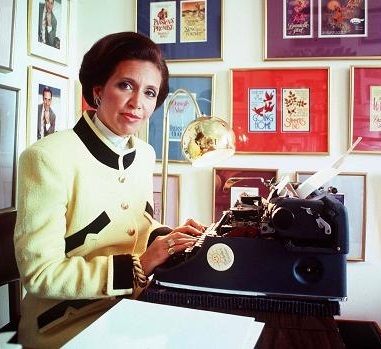 Goodly: Did You Know Danielle Steel was Once a Copywriter? Did You Know Danielle Steel was Once a Copywriter? In 1972, while researching an article about conscientious objectors imprisoned during the Vietnam War, freelance writer and millionaire heiress Danielle Steel met inmate Danny Zugelder in a California penitentiary. Zugelder, serving time for bank robbery, became instantly smitten with the high-born Steel. Within months, Steel moved from New York to San Francisco, so she could visit Zugelder every week. The couple would have lengthy picnics on the prison lawn and liaisons in a bathroom in the visitors' center. Zugelder moved in with Steel after his parole the following year. To support their new household, Steel took as job as a copywriter for Grey Advertising, while working nights on a novel. The couple's bliss lasted less than a year. In 1974, Zugelder was convicted of robbing and sexually assaulting a woman, and sentenced to seven years in a state prison. In 1975, Steel married Zugelder in the prison’s canteen. But the marriage lasted only two years. Zugelder later reflected that Steel had been using him as grist for her novel, which depicted the romance between a socialite writer and a poor ex-con.